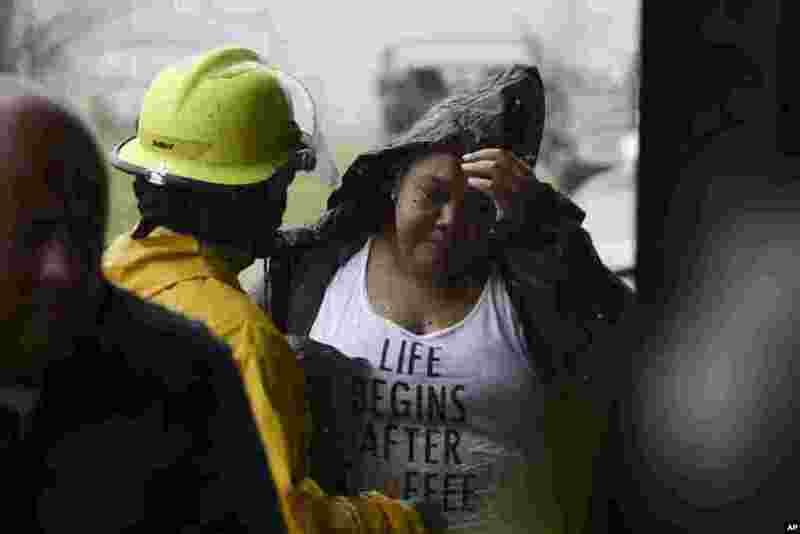 Hurricane Maria dropped more heavy rain on Puerto Rico Thursday, after knocking out power across the entire island, flooding many areas and killing at least one person, as it inflicted a less severe but still significant punch to the Dominican Republic. 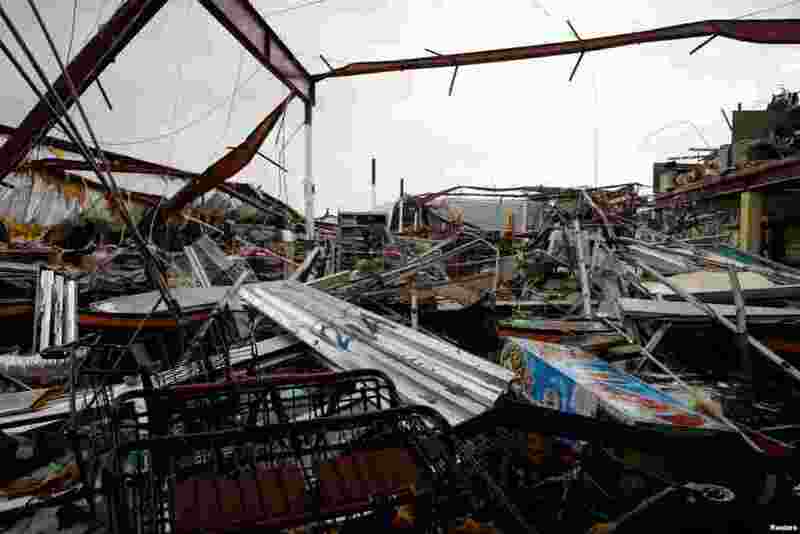 1 A supermarket was damaged after the area was hit by Hurricane Maria, Guayama, Puerto Rico Sept. 20, 2017. 2 A municipal police officer arrives at the Emergency Management Agency after being removed from their flooded station by rescue personnel during the impact of Hurricane Maria, which hit the eastern region of the island, in Humacao, Puerto Rico. 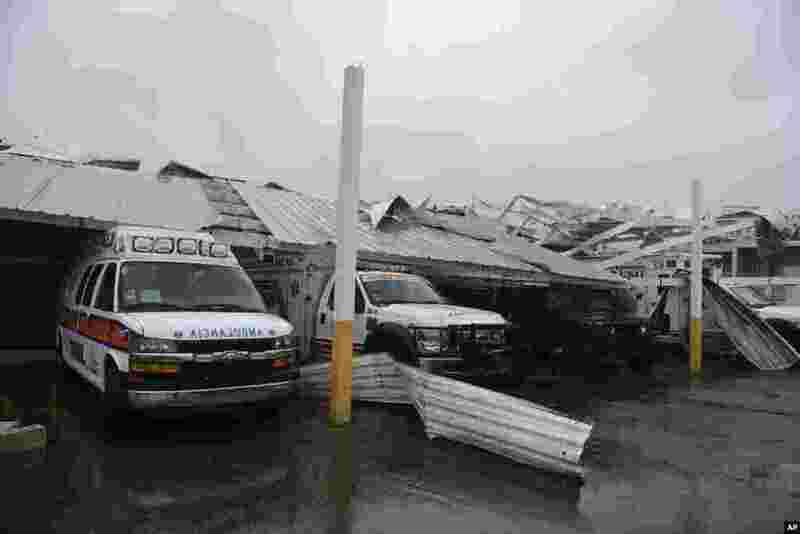 3 Rescue vehicles from the Emergency Management Agency stand trapped under an awning during the impact of Hurricane Maria, which hit the eastern region of the island, in Humacao, Puerto Rico, Sept. 20, 2017. 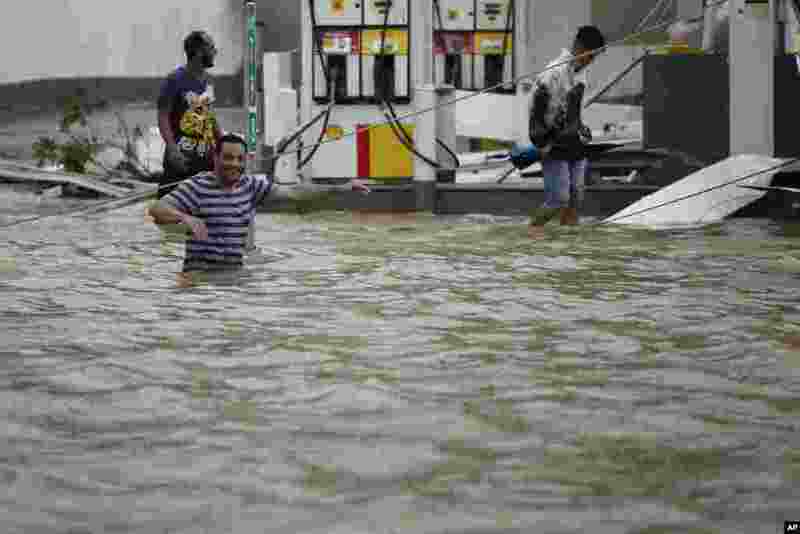 4 People walk next to a gas station flooded and damaged by the impact of Hurricane Maria, which hit the eastern region of the island, in Humacao, Puerto Rico, Sept. 20, 2017.